If Jurassic World is a movie that you really liked, then ARK: Survival Evolved is the game for you. This prehistoric open-world adventure is playable however you like – first-person or third-person, single-player or multiplayer, female or male protagonist – but whatever route you take, you’ll start out as a naked chump with aspirations of owning your own stable of rideable dinosaur mounts. One of the most famous eSports titles in today’s world, Rocket League was the breakout title that lets you play football (even basketball) with your player seated inside a collection of cars. While there is a ton of DLC on offer, you only need the base game to enjoy the full experience. If you have the courage to play as one of the four survivors, you’ll need to quietly sneak around dingy, blood-splattered environments and cooperate to hurriedly complete objectives. And if you’re keen on being the lone killer, your job is to hunt down those unsuspecting teens and hang them on meat hooks until they bleed out. Similar to the other games in the franchise, you play as Rico Rodriguez, and well, cause chaos everywhere. With over 400 square miles of complete freedom from the sky to the seabed and a huge arsenal of weaponry, gadgets, and vehicles, prepare to unleash chaos in the most creative and explosive ways you can imagine. Nioh is basically a third-person, stamina-centric combat set in a fantastical world full of demons and monsters. The Complete Edition on Steam also includes three expansion story chapters, which you might’ve missed the first time around. Grand Theft Auto or GTA V is the latest game in the franchise, and it has been growing strong despite being released back in 2015. The reason is GTA: Online, which comes as a part of this game, and boy is it great! Prey strands you on a space station overrun by strange aliens and gives you all the tools you need to cause trouble and/or get yourself killed. Furthermore, the developers just added several new modes in a free update, so now might be a great time to bag the game. DOOM is the reboot of one of the biggest gore action FPS shooters. What’s more is that the package now includes all three premium DLC packs (Unto the Evil, Hell Followed, and Bloodfall), maps, modes, and weapons, as well as all feature updates including Arcade Mode, Photo Mode, and more. Sniper Elite is one of the best shooter games that puts you in the role of a sniper. The Complete Pack includes all the games in the series, that is Sniper Elite, Sniper Elite V2, Sniper Elite 3, as well as the latest Sniper Elite 4. Apart from losing in the game, like a lot, you will also lose a lot of price with a great deal on this game. The Dark Souls III Deluxe Edition includes the full game & the Season Pass. Expand your experience with the Season Pass featuring new maps, bosses, enemies and additional weapon and armor sets. Well, what are you waiting for? Go grab these games and save your money as well. 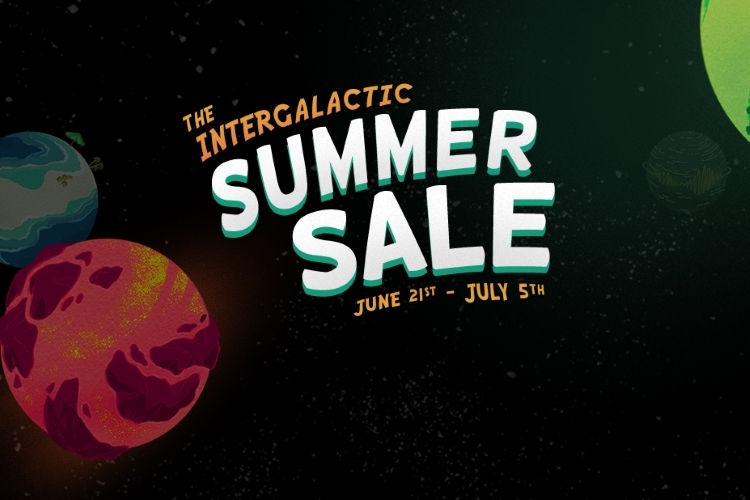 The 2018 Steam Summer Sale will run until 10:30 pm on July 4.